Rent Now is our professional grade tenancy creation service - it encompasses referencing, contract signing, money handling and deposit registration and brings it all online, into a streamlined and transparent process. How much does Rent Now cost? Looking to begin Rent Now? To start the Rent Now process the landlord needs an OpenRent listing for the property (You can add a listing here). 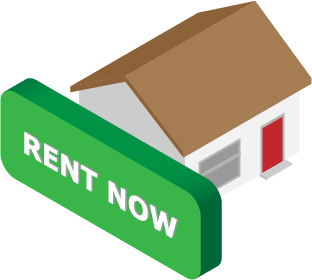 The tenant begins Rent Now by clicking the green 'Rent Now' button on the OpenRent listing. They will be asked to pay a £200 holding deposit by debit card to confirm their application for the property. The landlord will be notified via SMS and email as soon as the holding deposit is paid, and can then immediately choose whether to accept the application, and if so whether referencing is required. Q. Where can I find the OpenRent listing page? A listing page is simply an advert on OpenRent. Tenants will have been sent a link to the listing page when they first enquired about the property. If you’re a landlord you can see all your listings here, or if you haven’t listed yet, create a new one here! Q. Where is the Rent Now button on the listing page? It’s a green button prominently located on each listing page. If a landlord has already told us a property is let, the listing might say "Let Agreed" instead. If that’s the case the landlord will need to republish the advert (which is free) before tenants can apply. Q. Can the landlord start the Rent Now process? How can a landlord help a tenant to start their application? Tenants need to initiate the process so we can confirm the relevant details, and take a holding deposit. If tenants are having trouble applying for a property, the landlord can help by either sending them a link to the listing page, or simply advising them to reply to any of the emails they’ve had from us - we’ll be happy to point them in the right direction! Q. Can a landlord accept multiple applications at once? We appreciate that there can be several good candidates for a property at once and that landlords will be reluctant to turn away their second or third choice. As such we are happy for landlords to reference other groups of tenants, however they will need to do this at their own expense. Standalone referencing can be ordered by the landlord as required for £20 per applicant and can be ordered here. Further, since the primary tenants within the Rent Now process will likely be accepted if their references are good, we ask that landlords inform the others group(s) of tenants that they may not be successful even if all their references pass, because referencing is also being carried out on another group of tenants who are the first choice. Q. How do tenants pay the £200 holding deposit? Can they pay in cash? We accept all major debit cards to pay the holding deposit, via a secure online transaction. Unfortunately we cannot accept cash, cheque or bank transfer for a holding deposit payment. Q. A tenant doesn’t have an email address - can they still apply? All tenants and guarantors will require a working email address in order to be included in Rent Now and be named on the contract. This allows us to create a secure digital signature as well as ensure everyone has the relevant information they need at each stage of the process. Fortunately creating a new email address is free and quick to set up via providers like Gmail and Hotmail. Q. What happens to the holding deposit if the landlord proceeds? What if the tenant pulls out? Firstly, the holding deposit is used to cover referencing costs (£20 per reference), if references are deemed necessary by the landlord. The remaining amount is placed towards the full deposit amount upon successful contract signing. If the tenants fail referencing and can't secure appropriate guarantors, or the landlord isn't happy with these tenants, the remaining amount is returned to the tenants. If the tenants decide they no longer want the property, the remaining deposit is returned to the landlord. OpenRent’s market leading referencing combines a thorough credit check with references from employers and previous landlords to give a clear indication of the suitability of tenants. The landlord decides who they want to accept - we keep everyone updated throughout the process and are happy to advise based on our experience of thousands of tenancy applications. On average, comprehensive referencing takes 3-5 days. Referencing is free to landlords within Rent Now - we charge tenants £20 per applicant to ensure they are serious about going ahead. Q. What if the landlord doesn’t need all tenants to be referenced? When accepting the holding deposit, the landlord can specify if only some of the tenants or guarantors need to be referenced. They can also change this at any point even if referencing is already underway. There is no charge to tenants for applicants who aren’t being referenced. Q. What is the difference between a comprehensive and speedy reference? Referencing costs £20 regardless of which type is requested. Speedy referencing involves a credit check only so is quicker, but doesn’t include employer or previous landlord references. We always recommend the comprehensive option, however feel free to read more about exactly what’s involved with each type here. Q. What if the landlord doesn’t agree with the referencing report? Do they have to accept tenants? Every completed referencing report includes a recommendation on how to proceed - however this is a recommendation only. OpenRent landlords are always in control and can choose to proceed or reject tenants at any time. 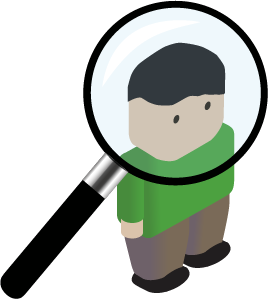 If a report contains an error, just let us know and we can look into any concerns. Q. What happens if a tenant fails referencing? Landlords can still choose to accept tenants even if they fail referencing - the final decision is with them. 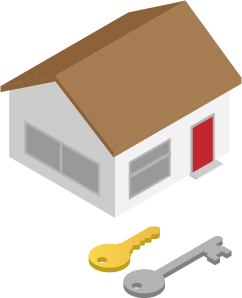 A common approach is to add a guarantor or collect additional rent in advance to give the landlord more security. Obviously in some cases a landlord will decide that the tenants aren’t suitable - if tenants are rejected, their holding deposit will be automatically and immediately refunded (less the cost of referencing), and the landlord’s property will be immediately re-advertised. As part of the Rent Now process, OpenRent will draft your contract and have all parties securely sign the tenancy agreement online (learn more and see sample). There is no additional cost for this service and it is included in Rent Now. If the landlord is happy to accept the tenants following referencing, they simply let us know via the website and we then proceed to contract signing. Once the landlord has checked and confirmed a few details, the tenants will be asked to sign the AST online, and each person will be notified via email when it’s their turn to sign. The landlord will be asked to sign the AST once all tenants and any guarantors have signed. Q. Can I see a copy of the OpenRent tenancy agreement? Please take a look at our dedicated tenancy agreement information page. Q. Can I customise the tenancy agreement or add my own clauses? 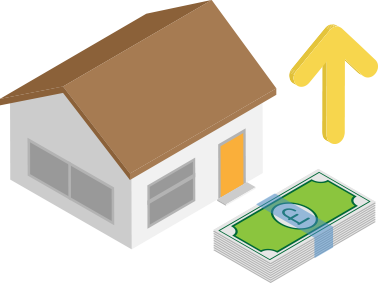 The main terms in the AST are set by the details the landlord provided when they created the listing - price, deposit, contract length, etc, and the landlord also gets a chance to check and confirm these before a contract is issued. The move-in date is agreed once a tenant clicks "Rent Now". We advise against adding custom clauses, or using the custom clause section to overrule any clauses in our standard contract - however, we realise sometimes landlords want this flexibility, and therefore we have enabled the adding of custom clauses. Note that OpenRent will not look over clauses added, or ensure they are legally sound, so use at your own risk! Our general policy is to provide an AST that is broad reaching and which reflects industry best practice in terms of protecting the interests of both parties. As such, we don't feel custom clauses should be required. If you did want to add custom clauses, heeding the warning above, the landlord can do so at any point during the contract signing phase of Rent Now - this function is available under the "Advanced Contract Settings". Q. How can I trust a digital signature? 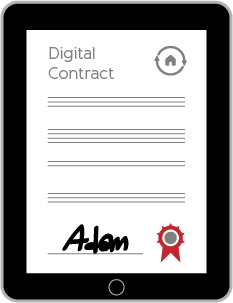 Digital signatures are becoming commonplace with online and remote transactions in the UK. They not only make the process faster and easier, but they are legally binding and admissible in court - this was established by the Electronic Communications Act 2000 and subsequent EU Directives. See this guidance from GOV.UK for more detail. Having said that - our contract is available for download as well, so you can ask your tenants/landlord to sign it personally (as well as online) if you prefer. As part of the Rent Now process, OpenRent will collect the deposit and first month’s rent from the tenants and securely register the deposit on the landlord’s behalf. This makes sure the tenancy is legally sound and fully compliant with legal requirements for deposits. With OpenRent helping to create thousands of tenancies a month, everyone can rest assured they are in safe hands. Tenants benefit from the convenience of being able to pay securely by debit card or bank transfer 24/7, and the peace of mind of knowing their money will be protected instantly by the largest letting agent in the UK. Q. Can the deposit or rent be paid direct to the landlord? Within Rent Now, we handle all initial funds so that we can guarantee that the tenancy created is legally sound and that all legal requirements have been fulfilled. The deposit will be protected and transferred to the landlord’s control within our partnered deposit protection provider as soon as funds clear, and rent is released shortly after move in. Making the initial payment is also typically easier for tenants when using OpenRent since we support payment by debit card as well as bank transfer - and notify the landlord as soon as it's made so that they can hand over the keys when convenient. If a landlord prefers to handle collection of the first month's rent and/or the deposit themselves, that's fine, however unfortunately Rent Now will not support this. Q. When is the rent and deposit payment due from the tenants? We always advise tenants pay as soon as possible after the contract is signed to avoid any delays with the move-in. The contract also requires that tenants pay the full balance as soon as the contract is signed. In practice, where the move in date is some way off, there are often legitimate reasons the tenant may not be able to pay the full balance immediately, so as such a date is typically agreed that is workable for both parties. In addition to this we are happy to accept part payment if tenants pay by bank transfer, which is often a good way of giving the landlord comfort that the tenants are still committed even if they cannot pay the full amount immediately. Q. Do you handle the prescribed information relating to the deposit? We have everyone covered on this when using Rent Now. The prescribed information is contained in the tenancy agreement all parties have signed, including details of the deposit amount, where it will be protected and how it will be treated. We also double down on this by sending the tenants an email as soon as the deposit has been protected re-iterating all the required information and attaching a copy of our partner Deposit agency's terms and conditions. This goes beyond the minimum legal requirement; note that the law states the information is provided to the relevant parties but printed signed forms are not necessary: http://www.legislation.gov.uk/ukpga/2004/34/section/213. Q. Who collects the ongoing monthly rent? We share the landlord’s bank details with the tenants securely via the website and suggest that they set up a standing order. Landlords can check the details we have on file (if any) at any time by clicking here. Given that ongoing payments are made directly to the landlord, we advise that all parties discuss this to agree a suitable method of payment. Q. Which deposit scheme do you use? We register deposits in custodial schemes at MyDeposits and the DPS, both are government approved schemes for tenancy deposit protection. It is a requirement for all properties in the UK to have the deposit protected by a government approved deposit protection scheme, you can find more details about government guidelines here. If using Rent Now, OpenRent will register the deposit with the deposit scheme on the landlord’s behalf. All we require is that the landlord registers with them (for free) and we will ask for their user details when required. Q. Do you support an Insurance Backed deposit scheme? Currently we only support a custodial deposit scheme within Rent Now, although we do hope to additionally support an insurance backed scheme in future. Once the tenants have paid the full balance of the first month’s rent and deposit, the landlord will be notified automatically by email. They are then free to hand over the keys! The deposit is transferred to the landlord’s control within our partnered Deposit scheme within a few working days, and once the tenants have moved in we release the rent to the landlord 7-14 days later. Q. Why do you hold onto the Rent for 7-14 days before releasing it to the landlord? The 7-14 day waiting period is one of our lines of defence against rogue landlords. As we don't always visit the property ourselves, we have to be reasonably sure the property is available, under ownership of the OpenRent landlord, and has been moved into before transferring the tenant's money. This is a requirement to ensure tenants using Rent Now are protected. In an ideal world, where everyone was honest, we could obviously remove this from our system. As a company, we gain nothing by holding onto this money, it is simply an administrative cost and burden. We can't be more precise on when the rent money will be received by a landlord due to bank functioning times, and the practicality of sending the money, but the landlord will be notified as soon as it leaves our account. Q. Should there be an inventory when the tenants move in? It’s in everyone’s interest to obtain an inventory report on move in - this can either be a professional inspection ordered via OpenRent or by doing it yourself. The report should be signed and agreed by landlord and tenant on the move-in date to ensure the exact state of the property is agreed. This helps avoid potential disagreements further down the line, and particularly at the end of the tenancy when the deposit is due to be returned. Landlords can purchase an OpenRent inventory, or download a free template from our dedicated inventory and check-in page. 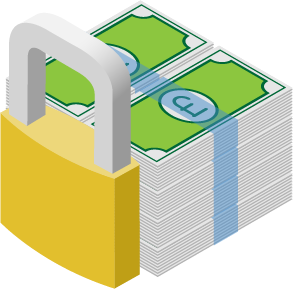 We provide tenants with OpenRent's bank details, and they pay us. As soon as the rent hits our account, we instantly send the rent out to you. There's no holding period, and no fees: as soon as the rent is paid to us, we pay it to you, automatically. We'll send you a brief confirmation email with each payment we make to you, so your records are up-to-date without you needing to check your bank. If your tenant is late on rent, we'll notify you automatically, and chase the tenant on your behalf. The rent collection service is provided completely free of charge, with no strings attached. And, it's completely optional. You don't need to use it if you'd rather get paid directly, and you can opt out at any point.